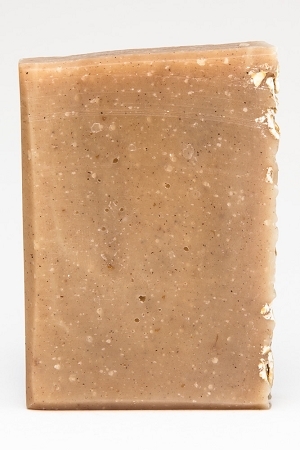 This bars' sweet and warm scent is created with cinnamon and vanilla essential oils. 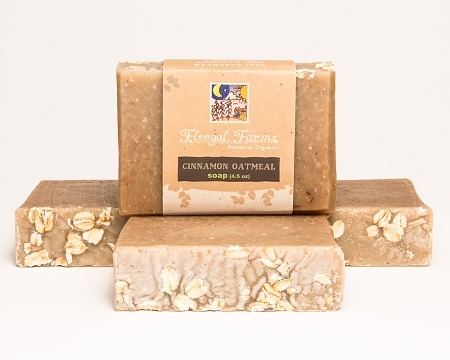 Added colloidal oatmeal made from organic oats adds a silky texture and helps to soothe skin. Smells good enough to eat! INGREDIENTS: filtered rain water, saponified oils of olive (olea europaea), coconut (cocos nucifera), palm (elaeis guineensis), pure essential oils, organic oats, ground cinnamon (cinnamomum cassia bark), cocoa powder (theobroma cacao).